Ren Gennerman works as a features reporter for the Winonan. Before working at the Winonan, Gennerman worked for three years as a reporter and historian for the Kettle Moraine Express, the school newsletter of the Kettle Moraine School for Arts and Performance in the Waukesha, WI, as well as a founder and Editor-in-Chief for Ampersand Pages, an award-winning high school literary magazine. 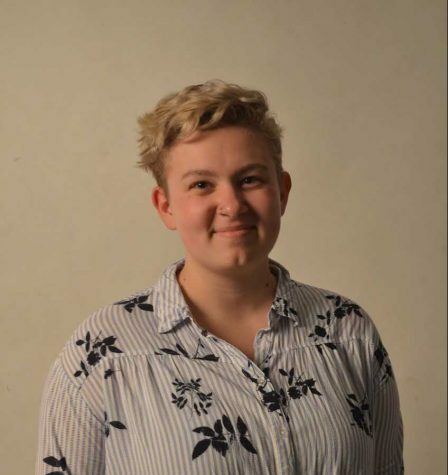 Gennerman is currently in their second year at Winona State University, and is majoring in Communication, Art, and Literature Teaching, and minoring Women and Gender Studies. Their dream job would be working to advocate for personalized learning and student equity on a national level. Along with working at the Winonan, Gennerman also acts as the Research Director of the Society of Collegiate Journalists for Winona State University and a costume shop assistant. Their hobbies include activism, theatre and reading.